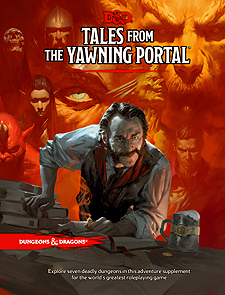 When the shadows grow long in Waterdeep and the fireplace in the taproom of the Yawning Portal dims to a deep crimson glow, adventurers from across the forgotten Realms, and even from other D&D worlds, spin tales of dark dungeons and spread rumours of lost treasures. Within this tome are seven of the deadliest dungeons from the history of Dungeons & Dragons, updated for the current edition of the game. Some are classics that have hosted an untold number of adventures, while others are newer creations, boldly staking a claim to their place in the pantheon of notable adventures. The seeds of these stories rest in your hands. D&D's deadliest dungeons are now part of your arsenal of adventures. Enjoy, and remember to keep a few spare character sheets handy.